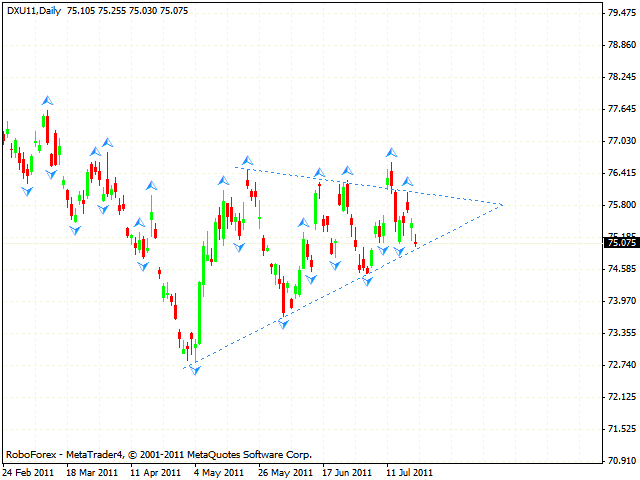 Dollar Index is stuck inside the “triangle” pattern. While the price is inside, the market will be unstable. Only if the price breaks one of the “triangle’s” borders, we may consider and expect strong movement towards the broken border. The Index has almost reached the end of the pattern, thus indicating a possible significant movement in the nearest future. The EUR/USD currency pair hasn’t changed much because of the way Dollar Index is moving. Currently we should expect the price to grow into the area of 1.4295. This area may be a starting point of the descending movement. 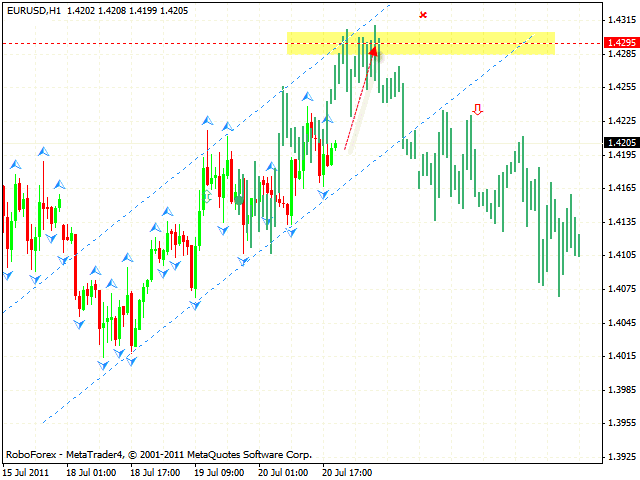 However, on should consider selling the pair only after the price leaves the channel. The closest target of the fall is the area of 1.4075. Franc keeps moving inside the descending pattern, the target of the fall is the area of 0.8073. 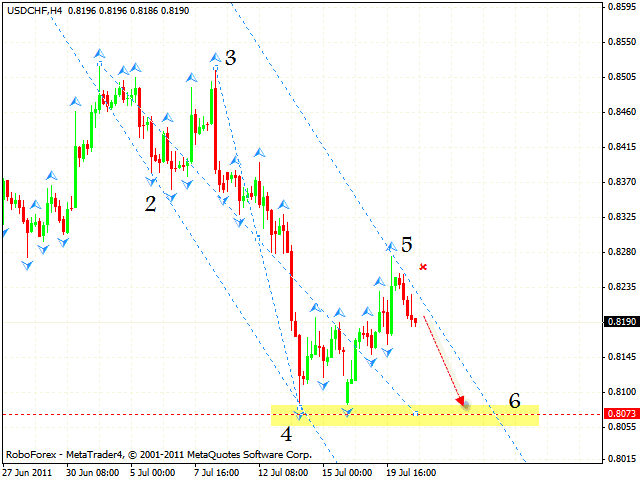 One can consider selling the USD/CHF currency pair with the stop above 0.8255. Don’t forget to move stop into the black as soon as possible. After testing the level of 1600, the correction started. 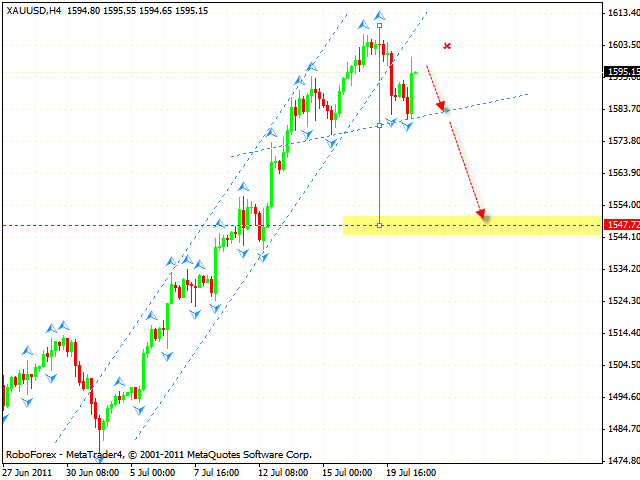 At the moment we have “head & shoulders” reversal pattern with the final target in the area of 1547. One can consider selling the instrument only after the price breaks the neckline. The stop must be above 1602.